Captain America Snack Mix: A Great Recipe for a Marvel Party! I'm something of an equal opportunity Marvel fan. I don't have a favorite superhero. I have two favorite superheroes! Iron Man and Captain America are my top two favorite Avengers. It made that whole idea of choosing #TeamIronMan or #TeamCap sides from Captain America: Civil War so confusing! 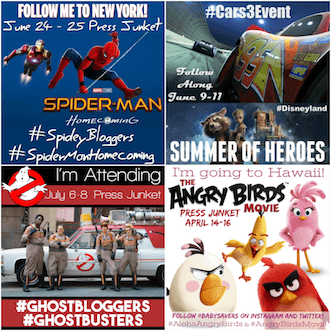 Even if you thought you had a favorite, if you attended the Hollywood premiere of Iron Man 3 and visited the Captain America: The Winter Soldier set on an amazing Marvel press trip you probably wouldn't be able to choose either! Whether you're Team Captain America, Team Iron Man or just an Avengers fan, I think almost everyone is looking forward to the newest movie, Avengers Infinity War! It opens on April 27th and I can't wait to see it! There are plenty of ways to celebrate a new movie, but food definitely needs play a part. This Captain America snack mix recipe is perfect for a movie party. I also love that the red, white and blue candies in the recipe also make for some great 4th of July recipes! 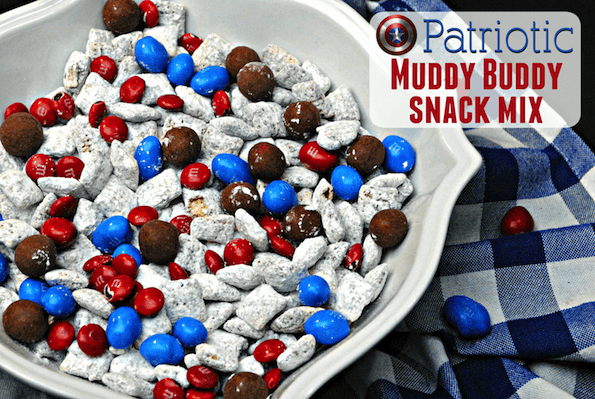 What makes this recipe the best Captain America snack mix recipe is that it's a Marvel spin on delicious Muddy Buddies. This chocolate concoction melts in your mouth and finishes with a crunch. 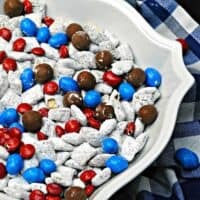 Note: the recipe calls for red white and blue Peanut M&Ms. If it's not June or July, these are hard to find! I recommend getting a big bag of standard Peanut M&Ms and only using the red and blue ones. Also, you can use any candy you want here, so feel free to be creative with your color combinations and flavors! 1. Line a large baking sheet (I like this one) with wax paper or parchment. Put your 4 cups of cereal in a large mixing bowl. Set both aside. 2. Put the milk chocolate chips into a microwave-safe bowl. Microwave on high for 30 seconds. Stir. Repeat in 30 second intervals until the chocolate is fully melted. 3. 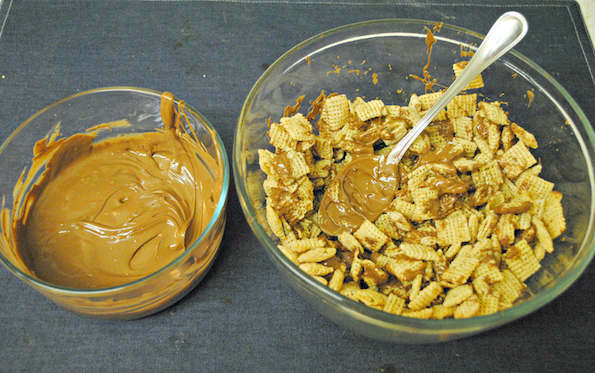 Use a large spoon to drizzle the melted chocolate over the cereal. Gently mix as you drizzle, making sure to coat the cereal evenly. 4. 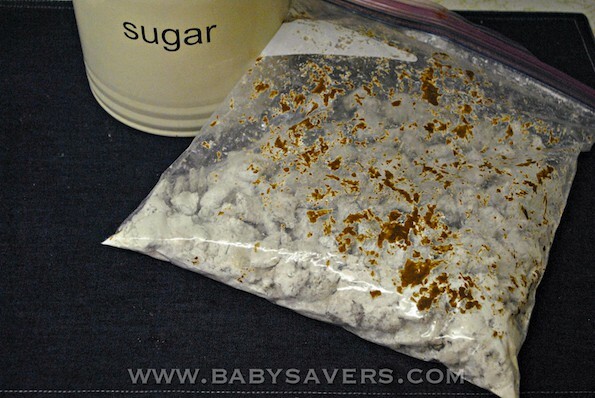 Place the powdered sugar in a 1 gallon zip-top bag. 5. Carefully scoop the chocolate-coated cereal into the bag with the powdered sugar. Seal the bag and shake it to cover the cereal with the powdered sugar. 6. Let sit for 1-2 minutes, then spread it out onto the prepared baking sheet. let dry for 1 hour. 7. Put your cereal back in the large bowl and gently mix in the Whoppers and M&Ms. Scroll down to find and print this Captain America Snack Mix recipe. Avengers: Infinity War opens Friday April 27th. Get your tickets now! 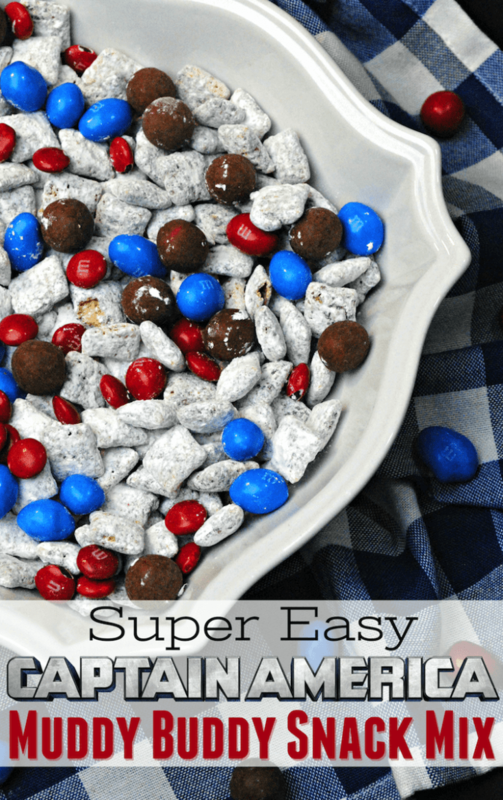 What makes it the best Captain America snack mix recipe is the Marvel spin on Muddy Buddies. This crispy chocolate and candy combo melts and crunches! Line a large baking sheet (I like this one) with wax paper or parchment. Put your 4 cups of cereal in a large mixing bowl. Set both aside. 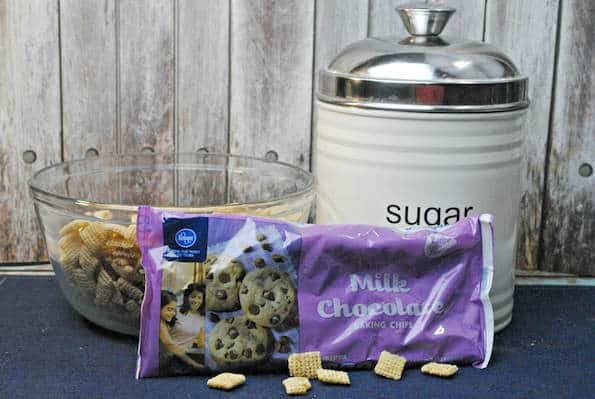 Put the milk chocolate chips into a microwave-safe bowl. Microwave on high for 30 seconds. Stir. Repeat in 30 second intervals until the chocolate is fully melted. Use a large spoon to drizzle the melted chocolate over the cereal. Gently mix as you drizzle, making sure to coat the cereal evenly. Place the powdered sugar in a 1 gallon zip-top bag. Carefully scoop the chocolate-coated cereal into the bag with the powdered sugar. Seal the bag and shake it to cover the cereal with the powdered sugar. Let sit for 1-2 minutes, then spread it out onto the prepared baking sheet. let dry for 1 hour. Put your cereal back in the large bowl and gently mix in the Whoppers and M&Ms. The write up mentions peanut butter. I do not see this listed as an ingredient in the recipe! !